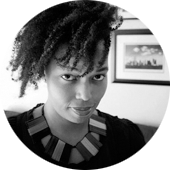 People told us that our home would change when we had children. At the time, I thought they just meant that life would be completely different, because — you know — you have an actual human person whose life depends completely on you. But now that I’m onto my second child, I realize that they meant it literally. Your home will change. Cabinets will get locks and doorknobs will need special covers. Staircases will need elaborate gates, and you’ll suddenly notice how sharp every furniture and cabinet and wall corner seems. And then there are the toys. Oh, the toys. In spite of your promises that you’ll keep toy acquisition to a minimum, well-meaning grandparents and aunts and cousins and friends will heap them on your child. And they will spill over into every corner of every room. Even (or maybe especially) the rooms where you don’t want them. Like the living room and master bedroom. No, really. 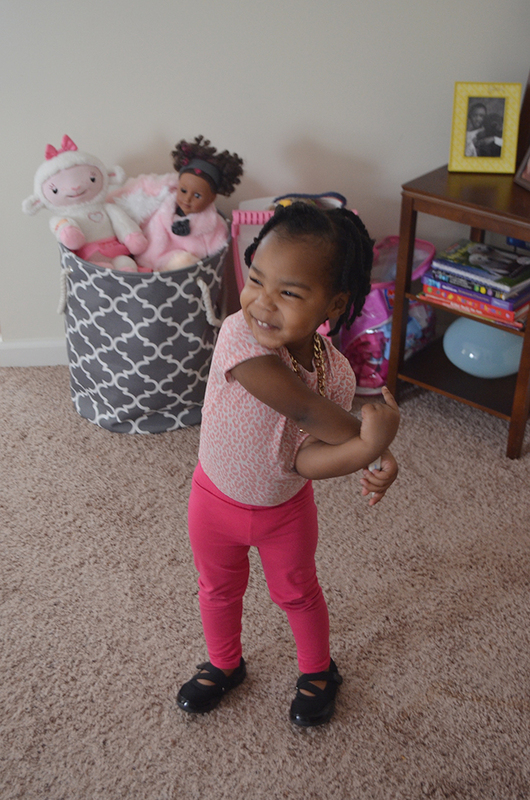 Between our two girls, our living room looks like a daycare center/gymnastics gym. 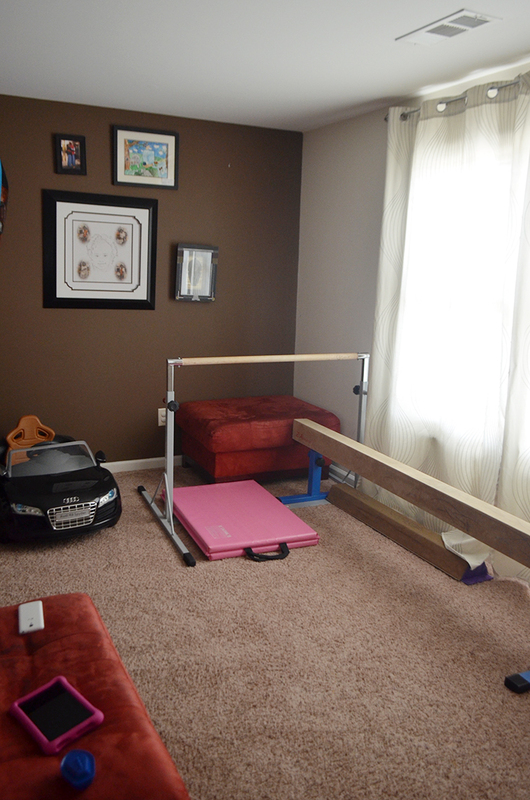 There’s a practice bar and beam, a car for the toddler and mats. There’s not much I can do to hide that stuff. It’s just too big. But there was another corner of the living room that drove me nuts. 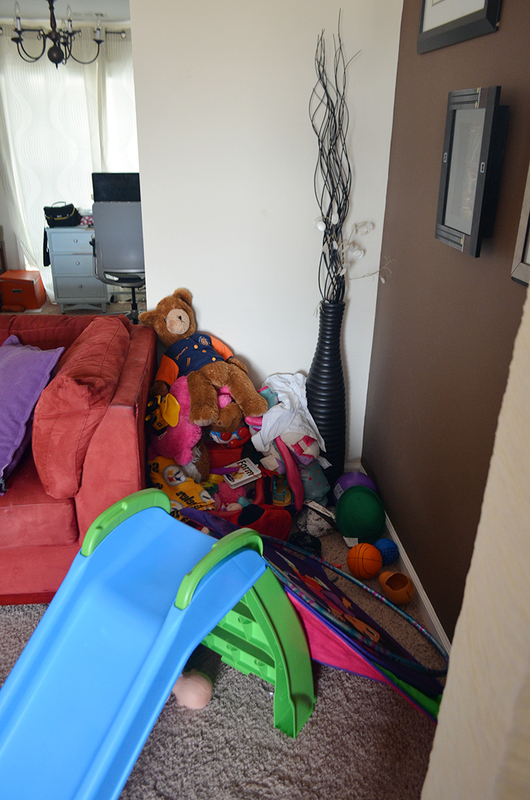 I have no idea how all this stuff migrated into the living room, but I did know I was sick of looking at it and picking it all up at the end of the day. 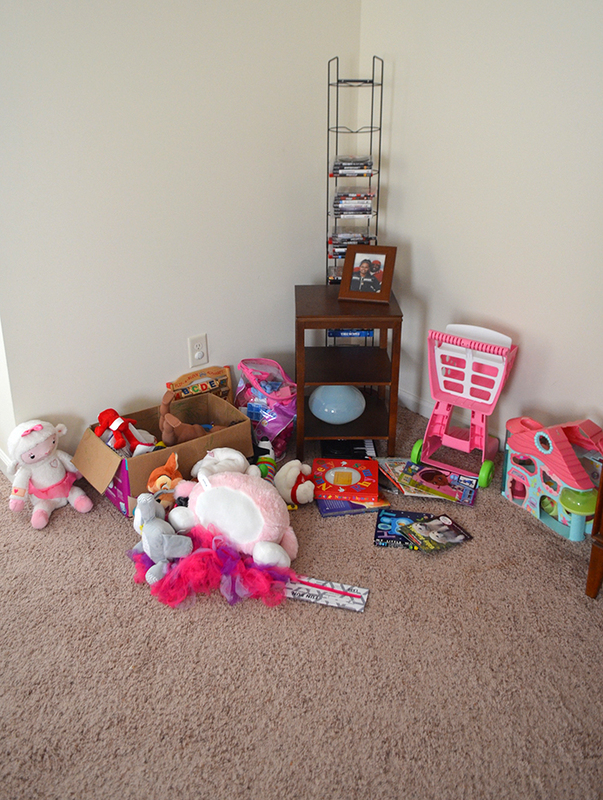 The opposite corner held larger toys that were gifts to Juliza. 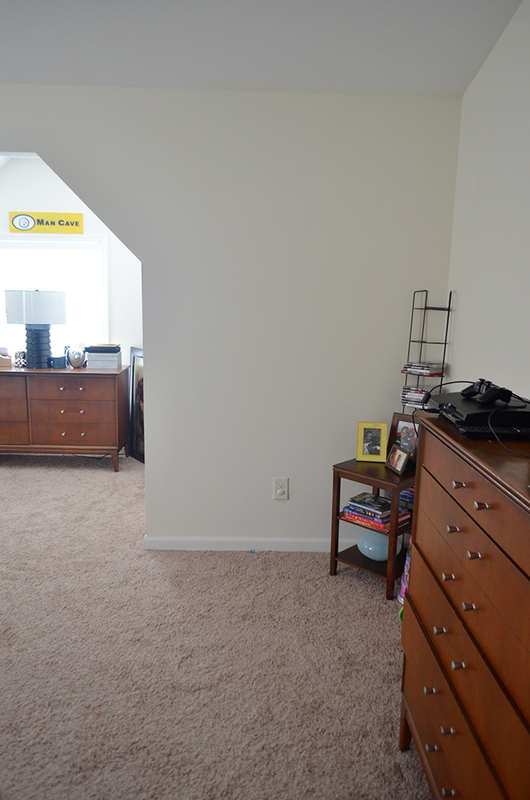 There is a similar corner in the master bedroom. 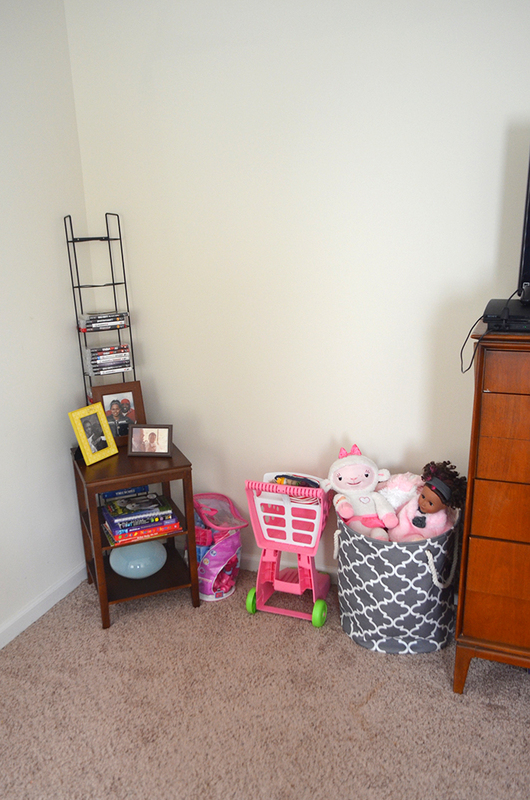 So when Walmart challenged me to share a nursery organization project, I decided to share how the nursery has spilled over into pretty much every other room, and what to do about it on a budget. 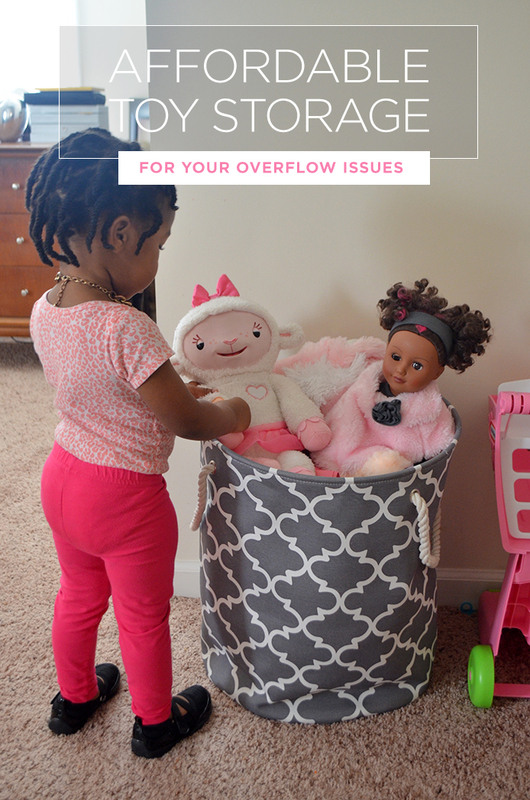 The obvious answer to a toy storage problem is a toybox, right? Except we needed more than one, and toyboxes — or quality ones, especially if they are eco-friendly — are not cheap. Instead, I decided to grab a couple of hampers. But not just any hampers. 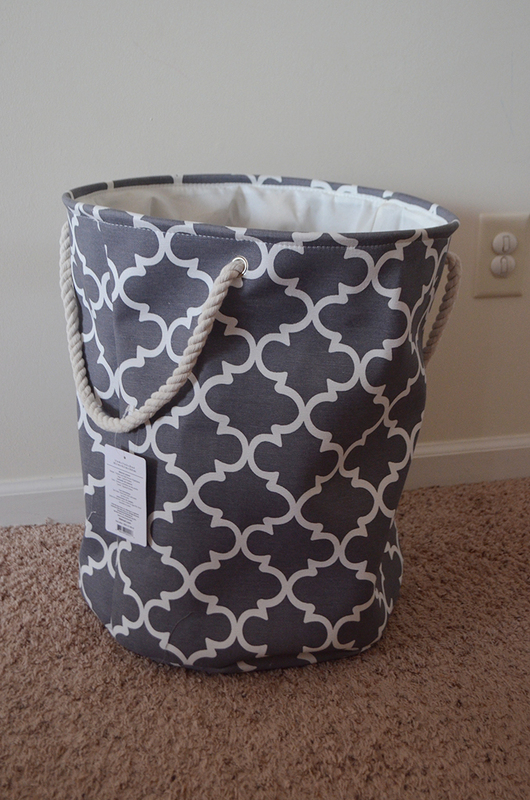 Cute, affordable, collapsible ones made of thick cotton canvas for just $12.44 apiece in Walmart stores (or $9.97 at Walmart.com in other colors). 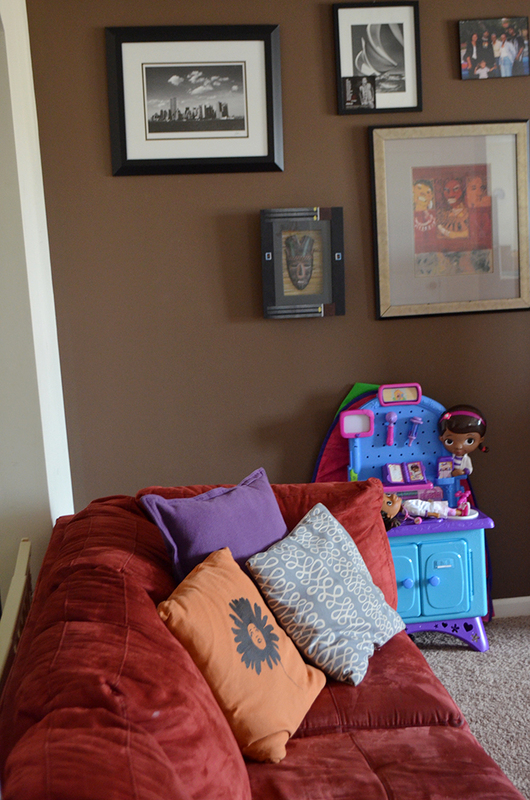 The pattern and colors are modern enough to fit with our decorating style, and they’re large enough to contain the ridiculous toy piles. Of course, the first part of toy organization is purging. I forgot to take a photo of the sell/donate piles, but I got rid of anything Juliza doesn’t play with at least once a week. The remaining items fit neatly into the hamper. I also decided to rearrange the living room a bit. 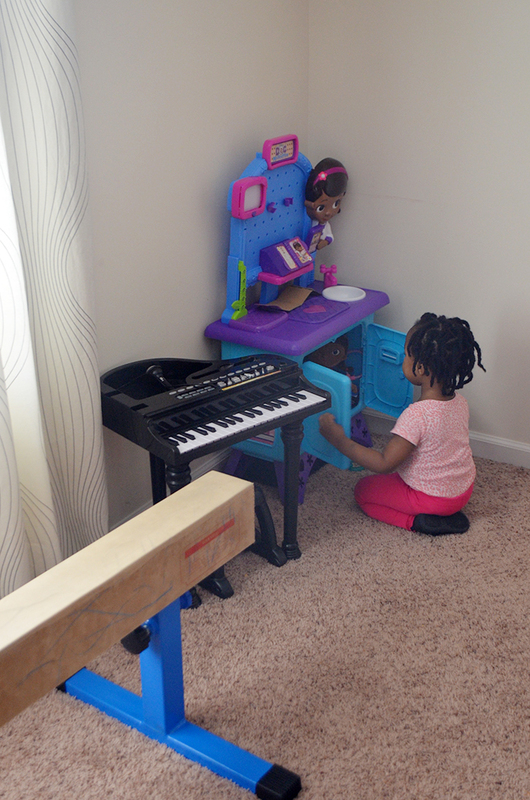 I brought her Doc McStuffins work table and piano over to the play corner. And the best part? Most of it can’t be seen when you walk into the living room because it’s hidden by the sofa. Moving upstairs to contend with that pile in the master bedroom, I had to go through the same purging process. I initially just cleaned up the corner and organized everything neatly. The toys are only visible from the other side of the room. 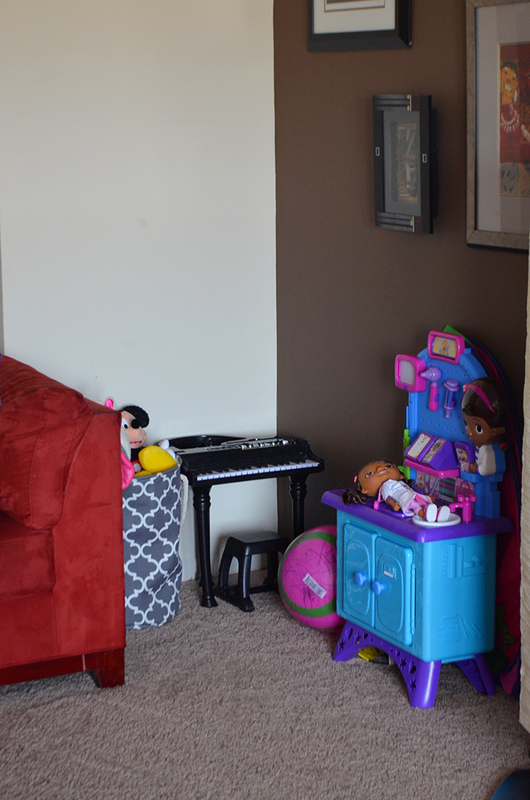 This organization is such a small change, but let me tell you — it makes a big difference in how the rooms look and feel. And I wish I had done it sooner. What about you? 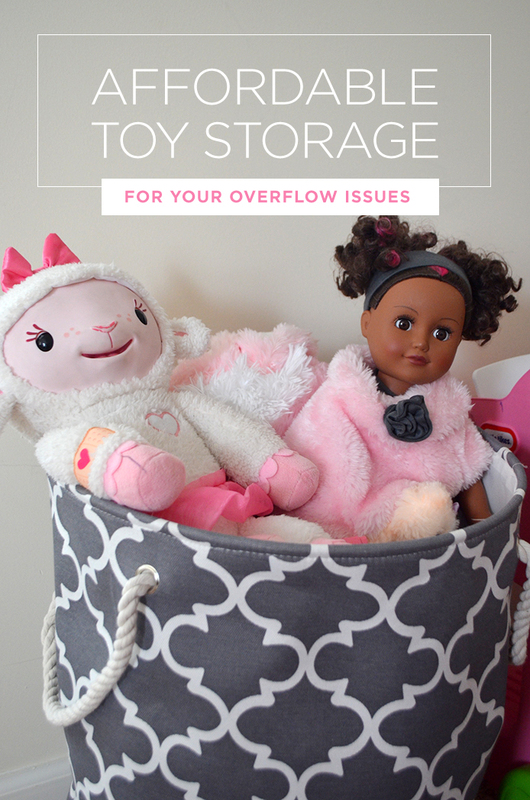 What do you do about toy overflow storage? Disclosure: As a participant in the Walmart Moms Program, I’ve received product samples and compensation for my time and effort in creating this post. All thoughts and opinions are my own. 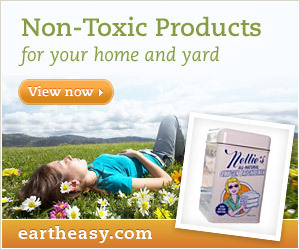 Affiliate links have been used.